Los Angeles - July 6, 2010 — JM Eagle, the world’s leading maker of plastic pipe, has hired 29 new employees in its Stockton, Calif., plant and plans to add as many as 10 more employees in the near future. The newly created jobs vary from full- to part-time work and include both hourly wage and salaried positions. The new hires’ titles will range from production superintendent to operator. In addition, five new shipping employees have been hired with the likelihood that as many as five more will be needed soon. With California’s struggling economy and 12.4% unemployment rate, such an addition is sure to be a boost for the local economy. According to the job-multiplier effect, which suggests that each manufacturing job supports as many as four other jobs, JM Eagle’s expansion could also add up to 160 non-manufacturing jobs to the area. While other manufacturers ship local jobs out of the country to save costs, Clark points out that JM Eagle ships local American-made products to Mexico and Canada. This new expansion follows a $14 million investment at the Stockton plant made by JM Eagle in 2009 to add an entirely new product line that added 30 employees at that time. Even with this latest job-creation announcement, JM Eagle continues to look for other opportunities to provide additional high-paying jobs at its Stockton facility. Since moving its corporate headquarters from Livingston, N.J., to Los Angeles in 2008, JM Eagle has been proud to call the Golden State its home and has directly brought more than 175 jobs to Los Angeles. At a time when many manufacturing jobs are leaving the state, JM Eagle’s commitment to — and investment in — California has consistently grown to the point that five of its 22 plants and nearly a quarter of its entire workforce are now located in the state. 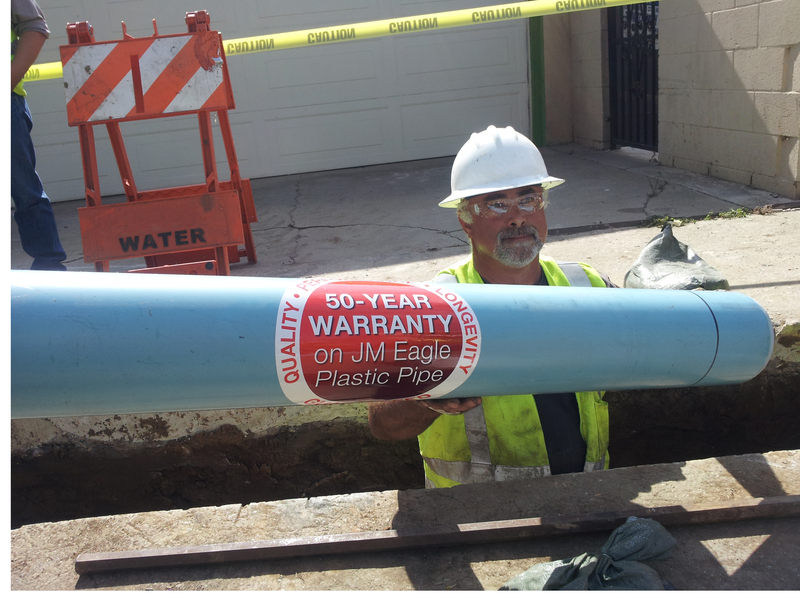 JM Eagle’s Stockton plant will host an Open House on Thursday, July 22nd at 11:00 a.m. PST for municipality and water district employees. Attendees will hear from corporate and plant representatives before being led on a tour of the facility, which is located at 1051 Sperry Road. An innovative leader in manufacturing, JM Eagle is known for the high caliber of its employees. By hiring new workers in Stockton, JM Eagle will improve its ability to provide its customers with the quality products they need and have come to expect.